Looking for a reputable Gold Coast Upholstery company? Then look no further than Gold Coast Upholsterers. We are quality Upholsterers and furniture Manufacturers servicing the Gold Coast and Brisbane for over 25 years, from individual clients through to developers and commercial enterprises. Supplying quality workmanship and able to deliver on time has always been a high priority. We have a wide range of fabrics from well know fabric and leather supply houses such as Warwicks, Jacka Wortley, Boyd Blue, Zepel and Meridian just to name a few. Custom made articles to clients specifications are our speciality and only the best materials are used. We source our foam from Dunlop, Joyce and Dyman Foams so as to give that level of comfort that only experience can give. Our highly regarded tradesmen will be only too happy to give advice to get that perfect end result. At Gold Coast Upholsterers we can recover any piece of furniture, for example a 1770 Chaise Longue to a Contemporary modern classic or even recovering that favourite sofa that we sometimes can't bear to part with. Earlier antiques can be done the time honoured way such as hand tied springs so as not to spoil the integrity of the piece. Damaged timber and finishes can also be refurbished sympathetically so as not to lose the value of the piece. 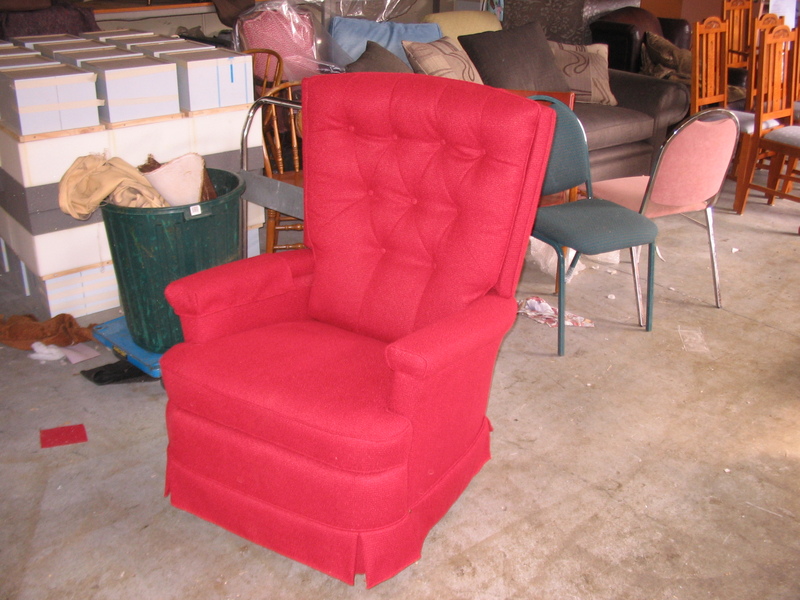 Contact Gold Coast Upholsterers for repairs to recliners, bed sofas and other furniture with mechanical actions which can usually be repaired. Re webbing and replacement of foam can add years of service with an added advantage of saving you money. Broken frames, sagging springs and old foam can be replaced. Family Heirlooms Can be renovated to their past glory or modified for a modern room. Heights and widths of arms and seating can sometimes be adjusted to fit into spaces better. When you are after a Gold Coast Upholsterer with that special design for yourself or a client it is easier than you think All it takes is a little imagination and help from us. Bring along or email your images and ideas and we can make your dream sofa or arm chair come to reality. For that special design think of Gold Coast Upholsterers! Gold Coast Upholsterers offer a service which usually enables you to have a sofa or large bed head dismantled and assembled in your premises if they can't go through narrow doors or lifts. We will also pick up your sofa to be recovered and deliver to your new local premises when you are ready. Gold Coast upholsterers have been making Loose covers for sofas for many years and are a great way to be able to remove and clean whenever you wish. They are also great with dining chairs too good and comfortable to throw away but give them a new exciting look. Covers for Outdoor seeting, Gas bottles and BBQ's. Think of the possibilities! Many services are offered by Gold Coast Upholsterers. Not only with the recovery of existing chairs, but also carry out the rewebbing and applying foam to new dining chair frames. Also we can sometimes carry out modifications to give older style chairs a new lease of life. Ottomans are only limited by our imagination. Any size can be produced with special features such as timber or stainless legs. Studs to a perimeter give a heavier appearance. Deep buttoning maybe, or a smooth firm top to allow an ottoman to be used as a table. A lids give added storage space... Let Gold Coast Upholsterers help with advice. Our Lounges, modular sofas and arm chairs are reknown for their quality workmanship and style. The price is a pleasant surprise as it usually equal to a quality retail store but you get the comfort, style and material which you have designed. A Gold Coast Upholsterer since the 1970's, Gold Coast Upholsterers has been proud of it's reputation for being on budget and on time. It doesn't matter if your desire is for something contemporary or maybe something antique in modern bold colours, just let your imagination run wild! So when you want a Gold Coast Upholsterer think Halls Upholstery. Gold Coast Upholsterers have had several years of making various bedheads and bedbases. This gives you the opportunity to design almost anything, no matter size, shape or style. We make items that "fold" to allow access to the smallest lifts or hard to get at places are not a problem no matter how large.